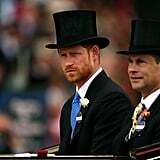 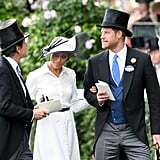 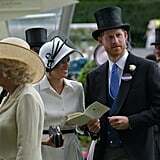 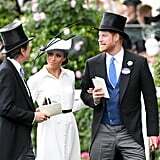 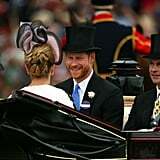 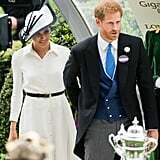 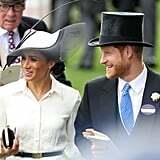 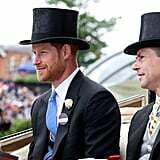 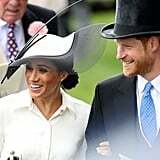 Exactly a month after their wedding, Prince Harry and Meghan Markle continued their royal duties as they attended the first day of Royal Ascot. 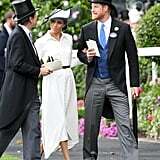 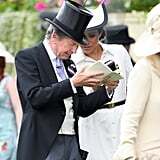 The couple rode in the carriage procession at the annual horse racing event, sat opposite Harry's uncle, Prince Edward, and his wife Sophie, Countess of Wessex. 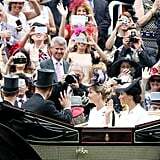 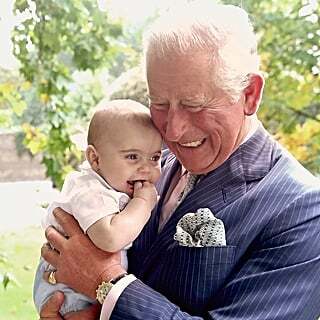 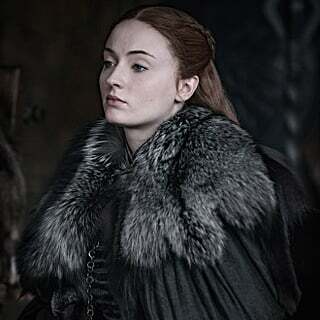 Carriage rides seem to be a weekly occurrence for the pair at the moment — they were also seen waving to the crowds from one at the recent Trooping the Colour ceremony. 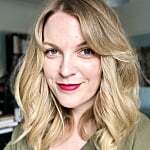 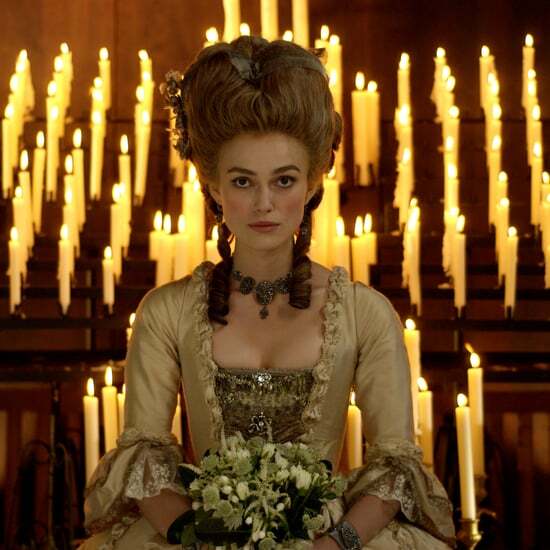 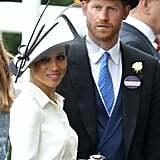 If this is what the first month of marriage is supposed to be like, there are probably a few of us feeling like we deserve a do-over right now! 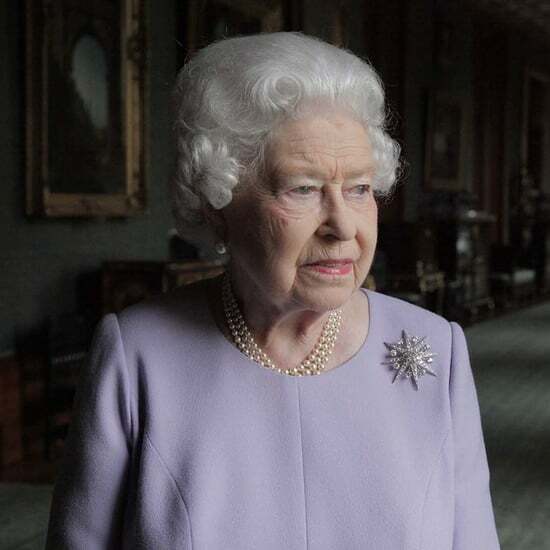 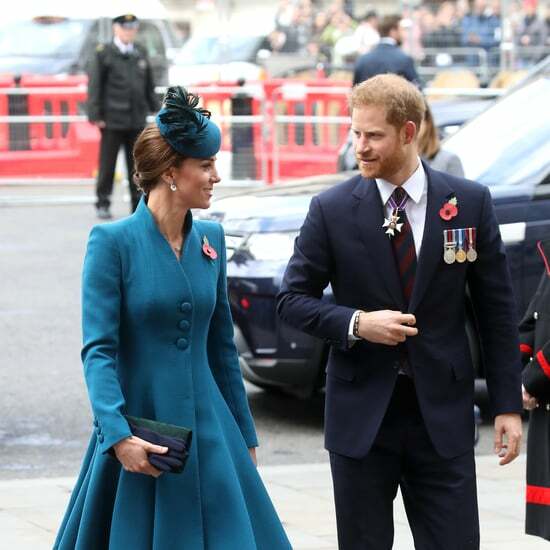 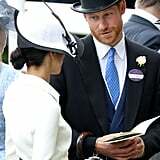 As they stepped down from the carriage, Harry was seen leaning in to speak to his wife, introducing her to the assembled VIPs. 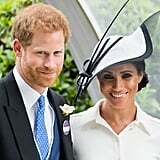 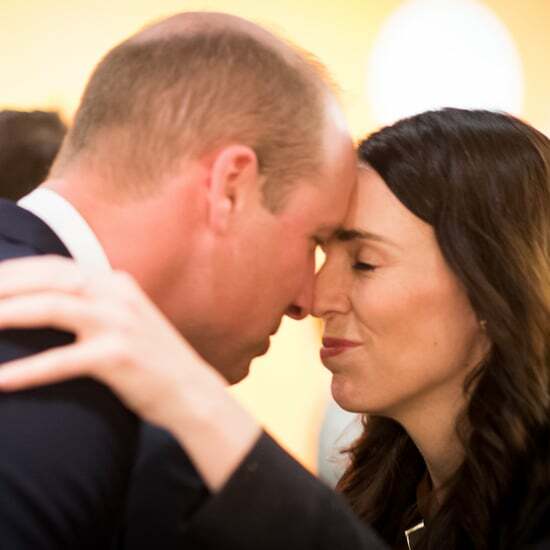 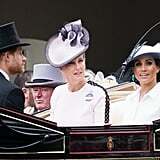 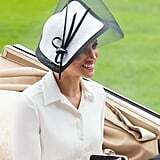 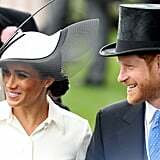 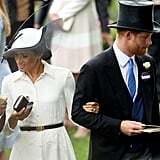 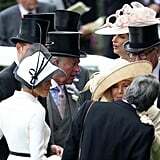 Meghan, in a chic white dress and black and white hat, held tightly to her husband's arm as they made their way to the royal box. 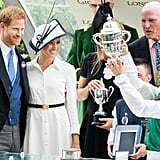 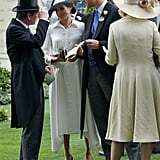 Later on, the newlyweds will make the trophy presentation for the fourth race of the day, the St. James's Palace Stakes. 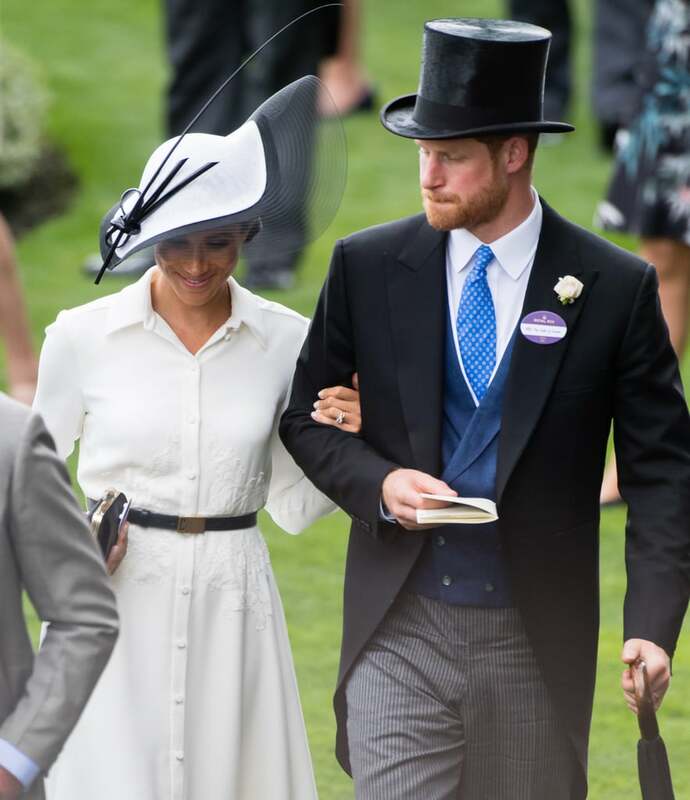 Stay tuned for photos of that, but for now, take a closer look at the Duke and Duchess of Sussex's Royal Ascot debut.